Great personalized gifts for home or office decoration. These round shape photo frames hold 4" x 6" photo. This Circo 4" x 6" Photo Frame are great for adding a personal touch to the home or office. 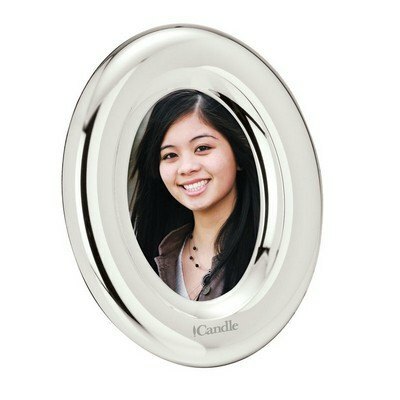 The silver-plated photo frame holds standard 4" x 6" photos of favorite memories, pets or loved ones. Place your favorite pictures inside these plastic picture frames. Generate some excitement for your business with this Photo Frame as a part of your next campaign.